San Antonio, Texas, is a lively city with a plethora of both entertaining and cultural attractions. The city’s strong personality, tremendous pride, and vibrant spirit are all palpable qualities in this Lone Star State jewel. Can you believe it’s the seventh most populous city in the US? A sparkling blend of Mexican and American flavors, San Antonio was founded with the best of both worlds and now boasts a distinctive identity within the nation. The city caters to people of all sorts, from rugged cowboys to tech-savvy business men – and everyone in between. With the city’s unique historic sites, buzzing social scene, rich art museums, and kid-friendly outdoor activities, a trip to San Antonio will have you wanting for nothing. Legend, passion, and folklore heroes combine to make the Alamo an exciting destination among America’s top historic sites. 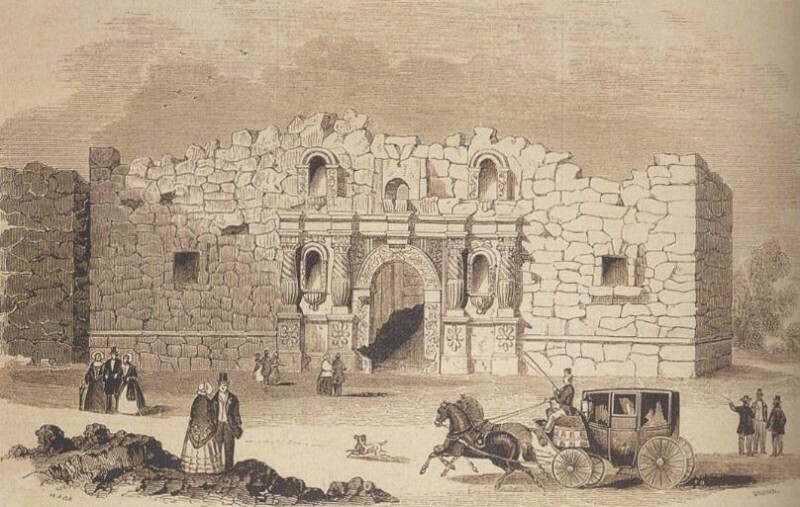 Though the Alamo contributes much to Texas (and American) history, it’s most recognized as the site of the Battle of the Alamo – the catalyst for Texas’ independence. The legendary Battle of the Alamo is an exciting chapter in the story of Texas, and with western icons like Davy Crockett (of squirrel hat fame) and Jim Bowie (of Bowie knife fame) playing lead roles, how could it not be? A painting of the Battle of the Alamo. The Alamo’s 4.2 acres of land are filled with exhibits and commemorations to this key site in Texas history. The story of the Alamo is a tragic tale, and if you’re not familiar with it, the many docents that roam the complex are happy to retell it. My favorite parts of the Alamo were the Chapel, where the Sacristy Room is as well as a tribute to the defenders, and the Long Barrack – the site of the complex that received the most action in battle. The history aspect aside though, just walking around the Alamo is a nice way to spend the afternoon. A large part of the architecture dates back to the 1700s and as the Alamo was originally a Spanish mission, the 18th century buildings and stone walls almost make you feel like you’re in Spain. It’s conveniently located downtown, so if you’re visiting San Antonio, there’s no reason why you wouldn’t want to stop in. Forget coupon-clipping and good old-fashioned haggling, as a major source of pride in Texas there’s no charge to enter the Alamo – perfect for large families looking to enjoy some San Antonio fun. Before John Wayne captured America’s heart as a rugged cowboy on the big-screen, and before Kid Rock globally proclaimed his desire to saddle-up as a Texas cattleman, the early Spanish missions in San Antonio were cultivating what would be Texas’ defining cultural elements. The San Antonio missions were developed by Spain throughout the early to mid-1700s to assimilate the region’s native Indians into devout Catholic Spaniards. The missions were more than just a church though – they were full-fledged communities. Inside the missions, Natives learned valuable vocational skills to transform San Antonio into a stable, prosperous community. The iconic cowboy-culture of Texas originated with the Spanish-colonized Indians and those ranching techniques, in addition to the tanning, carpentry, blacksmithing, and farming skills the Indians developed, left quite an impression on the city. If you looking for a fun – and frugal – way to connect with Texas’ history while enjoying beautiful architecture and the great outdoors, these missions are definitely worth checking-out. Located along the peaceful San Antonio River, the 4 missions that make up the Missions National Park each have their own unique architectural identity and cultural significance within San Antonio. I recommend making a day out of the tour by visiting the missions with the Mission Reach path – an inviting outdoor trail along the San Antonio River that connects each mission. The trail is good for casual strolls and biking and even has picnic spots set up to enjoy a nice riverside lunch. It’s a great way to ditch the technology-saturated norm of this day and age and enjoy some fresh air. The path is 8 miles long (16 miles round trip), and if you want more of a visual idea of how the missions are laid out, here’s a map. Which Mission to Visit First? Personally, I recommend starting off at Mission San José because that’s where the Visitor Center is. Mission San José also shows a movie, Gente de Razón, about the effects of the missions and offers interesting exhibits as well. Can’t beat that for what you get. The Spanish Governor’s Palace is a cherished part of San Antonio as it’s the last remaining piece of the 18th century Spanish Presidio (Spanish military fort), constructed to protect the area’s community. An old soul among Texas townhouses, the Spanish Governor’s Palace has seen its share of highs and lows. In the best of times, this architectural gem helped military troops protect the Valero mission (the Alamo), provided families with a happy home, and even served San Antonio as a center for commerce. In the worst of times, the Governors Palace observed town hangings, mysterious murders, and bereft families mourning the loss of their loved ones. Though this historic treasure has witnessed a wide array of events, it now only sees the many visitors who come to hear its stories. As a museum, the Governor’s Palace offers guests the chance to connect with San Antonio’s past while enjoying 18th century Spanish architecture (and a beautiful patio). Just to warn you, because this site has seen so many events – both joyous and tragic – it’s well-known to have ghostly activity. Many visitors claim to have encounters with the spirits of a little girl and house maid who both died prematurely. Visiting San Antonio without touring the River Walk is like going to Orlando without enjoying a theme park – inconceivable. 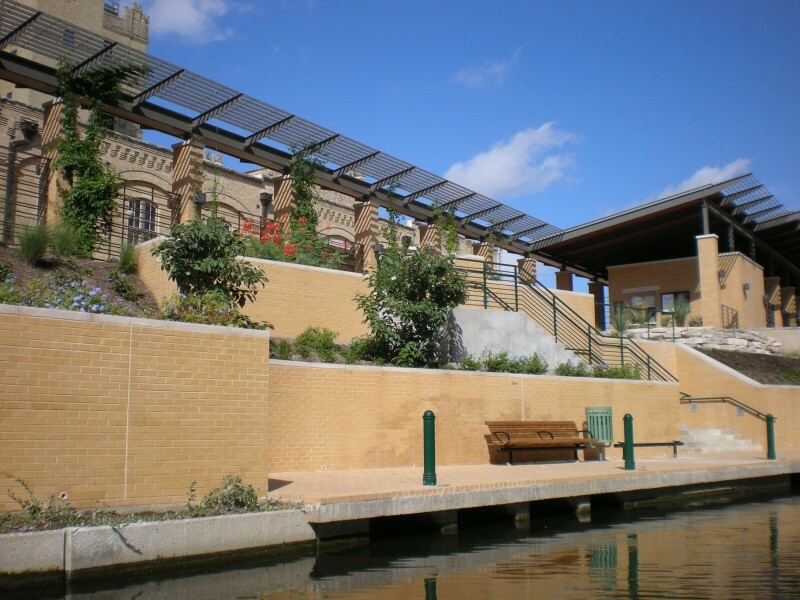 San Antonio’s famed River Walk is roughly 5 miles of entertainment, dining, shopping & history gracefully winding down the San Antonio River. Walk, jog, or bike down the landscaped sidewalks as you tour the city’s hot-spots while enjoying the enchanting river ambiance. If you want to see all of River Walk without personally trekking 5 miles, take a boat tour down the river. They cover the entire area and provide interesting facts about River Walk establishments along the way. Fervent foodies have no fear, River Walk bubbles with lip-smacking, taste-teasing, salud-worthy Tex-Mex eateries where the salsa’s always fresh and the margaritas flow freely. From the bright neon décor to its identifying hot-pink Tuna Margarita, Ácenar is anything but an ordinary Tex-Mex diner – and that’s exactly what keeps locals and tourists flocking to their doors. Whether you want to sit back and people-watch on the popular riverfront patio or be a social butterfly and mingle in their trendy lounge, Ácenar definitely has much to offer. Mi Tierra is a triple threat among Tex-Mex eateries: a surplus of lights and festive decorations provide a feast for the eyes while mariachi performers enchant the ears with musical melodies. The only thing that can rival Mi Tierra’s visual and aural splendor: the cuisine. Traditional Tex-Mex plates are served-up 24 hours a day, and if you’re wondering why their doors are always open, go have a meal – then you’ll understand. For a classic and historic Tex-Mex cuisine, try Casa Rio – River Walk’s 1st restaurant. Established in 1946, Casa Rio’s time-tested fare is like a flavor-packed fiesta for the senses. 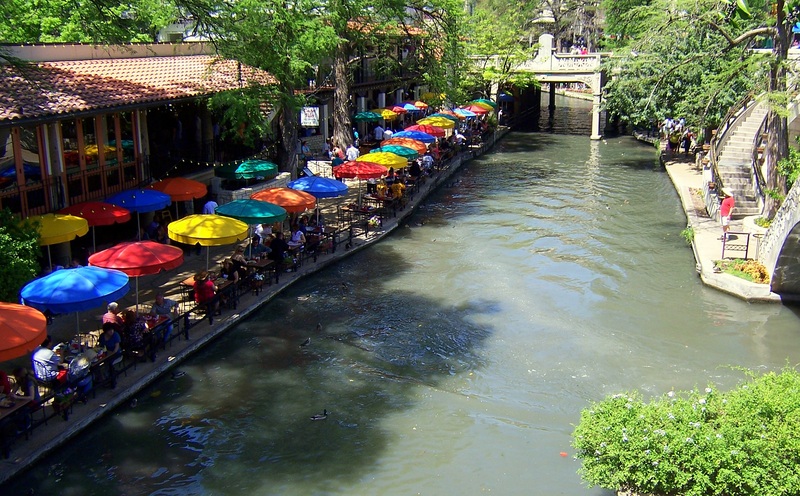 Get a table by the river, shaded by their iconic colored umbrellas, and savor San Antonio’s legendary Tex-Mex cuisine. San Antonio may know how to relax and enjoy a fiesta, but they also understand the importance of the arts. Among the many art museums in the city, the San Antonio Museum of Art and the McNay Art Museum have each carved out a special place in San Antonio’s heart. The San Antonio Museum of Art is basically a hub for artistic diversity. Works from various cultures and eras of time are displayed throughout this multi-story museum, with pieces ranging from the ancient BCE to contemporary items of the 20th century. With the wide array of artwork here, I imagine it would be difficult for anyone to not enjoy themselves. As a fan of all things artsy-fartsy, I absolutely love the McNay Art Museum, a few miles away from the San Antonio Museum of Art. It’s a well-rounded museum that showcases classic Renaissance artwork as well as fun and interesting pieces from the 20th and 21st century. If you want to appreciate historic pieces of art without sacrificing inspiring contemporary works, this museum won’t let you down. Fun Fact: The McNay Art Museum was Texas’ 1st modern art museum, founded in 1954 in San Antonio. Just outside of San Antonio is a real gem. The Natural Bridge Caverns are an amazing, underground, limestone cavern. The deepest part of the cave is 180 ft down, and it’s a balmy 70 degrees year-round. You’ll be slack jawed gawking at the stalactites and stalagmites. Water flows throughout the caves making this cave considered “alive.” The cavern was discovered by a couple college kids in 1960. What a find! If you’d like to visit San Antonio to learn more about Texas’ history and it’s struggle for independence visit www.visitsanantonio.com. Will Ancient Wonders Ever Cease at the Acropolis in Greece?